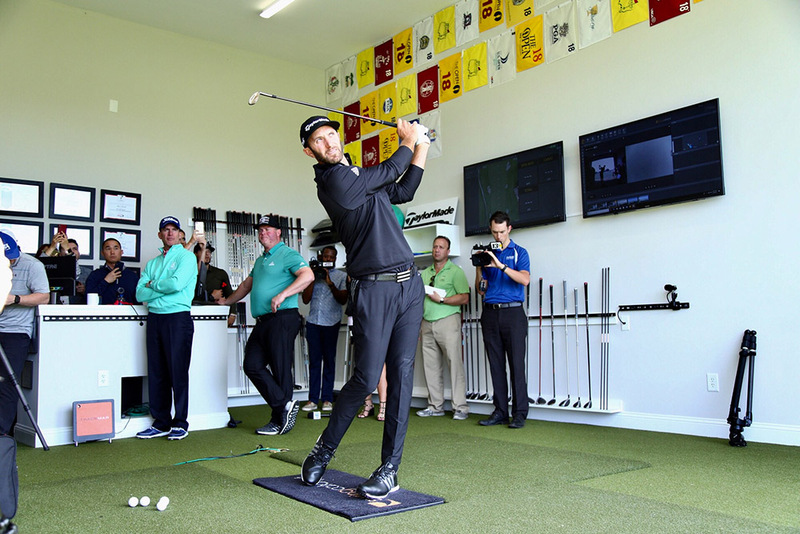 Dustin Johnson returned to Myrtle Beach to personally open his upgraded golf academy. Dustin Johnson doesn’t live in Myrtle Beach, S.C., anymore but his game blossomed there when he was still an amateur, and he hasn’t forgotten those days. Johnson keeps many of his trophies at TPC Myrtle Beach. 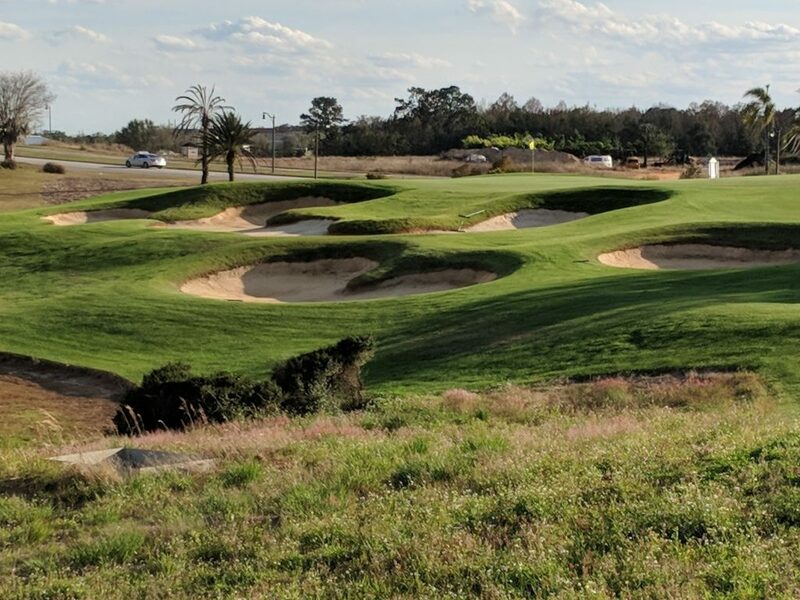 His golf academy is also there, and it got a major upgrade in time for the fourth playing of the Dustin Johnson World Junior Championship earlier this month. The Dustin Johnson Golf School is now the only facility in South Carolina with two Trackman machines. It also has the Swing Catalyst, which provides high speed video technology along with balance data; the K-Vest 3D Motion Analysis, which supplies instant 3D data in conjunction with the launch monitor; and the SAM PuttLab, the world’s most accurate and comprehensive putt analysis and training system. 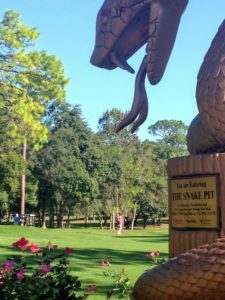 Both Dustin Johnson and Akshay Bhatia, the 17-year old champion of Johnson’s recent World Junior tournament, will face Copperhead’s fearsome Snake Pit in this week’s Valspar Championship. Johnson was on site to christen the new facility during his namesake tournament, which has become one of the most prestigious junior tournaments. Johnson, who has donated over $500,000 to junior golf programs, also joined Hootie and the Blowfish as inductees into the Myrtle Beach Golf Hall of Fame while he was in town but the most interesting DJ development may not come until this week. Akshay Bhatia, who won the boy’s division of Johnson’s tournament, will play along with Johnson in the PGA Tour’s Valspar Championship – the last of four straight tournaments comprising the circuit’s Florida Swing. The Valspar tees off on Thursday on the Copperhead course at Innisbrook Resort in Tarpon Springs. Bhatia, 17, is the No. 1-ranked junior boy in the world. The Wake Forest, N.C., resident, who plays left-handed, set a tournament record in the Dustin Johnson World Junior with a 5-under-par 211 for 54 holes. That contributed to Bhatia getting a sponsor’s exemption into his first PGA Tour event. He plans to skip college and turn professional when he turns 18 next January. Bhatia was by no means the whole show in Johnson’s junior event. Alexa Pano, of Lake Worth, FL., ruled the girls division and became the first player – boy or girl – to win the tournament twice. Wisconsin’s Erin Hills, site of the 2017 U.S. Open, has released a full animation preview of its new putting course. Scheduled to open on Aug. 1, the course will be lighted to permit evening play. BITS AND PIECES: Entries are now being accepted for Myrtle Beach’s biggest event. The 36th PlayGolf Myrtle Beach World Amateur Handicap Championship will be held Aug. 26-30. The name of the host hotel for the 29th International Network of Golf Spring Conference in Sebring, FL., has been changed from Chateau Elan to Seven Sebring Raceway Hotel. The hotel wanted to spotlight its connection to the auto track that hosts the famed 12 Hours of Sebring race. (Seven is a reference to the track’s famed hairpin turn). The golf event is May 19-24. Dormie Network, a nationwide stable of private destination clubs, has acquired Hidden Creek in New Jersey and Victoria National in Indiana. Among its other clubs is Briggs Ranch in Texas. Victoria National and Briggs Ranch are both Web.com Tour sites. Chicago’s KemperSports has taken over management of Thornberry Creek, the official course of the Green Bay Packers and the home of the LPGA’s Thornberry Creek Classic. Billy Casper Golf recently held its 30th anniversary celebration at Reunion Resort in Kissimmee, FL. 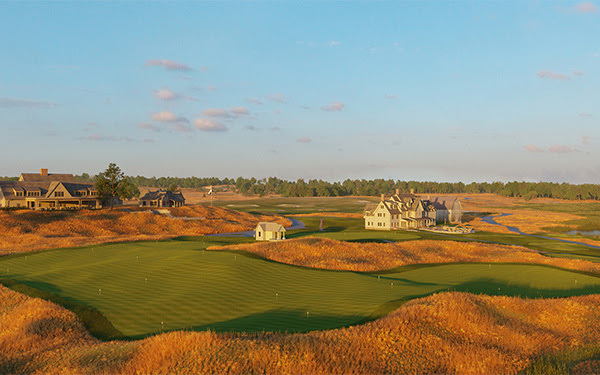 Billy Casper Golf operates 150 courses in 29 states. Wisconsin’s SentryWorld has set a May 3 opening for its course, which will host the U.S. Girls Junior Championship from July 22-27. A chilly early morning round on the Golden Nugget course in Lake Charles, LA. 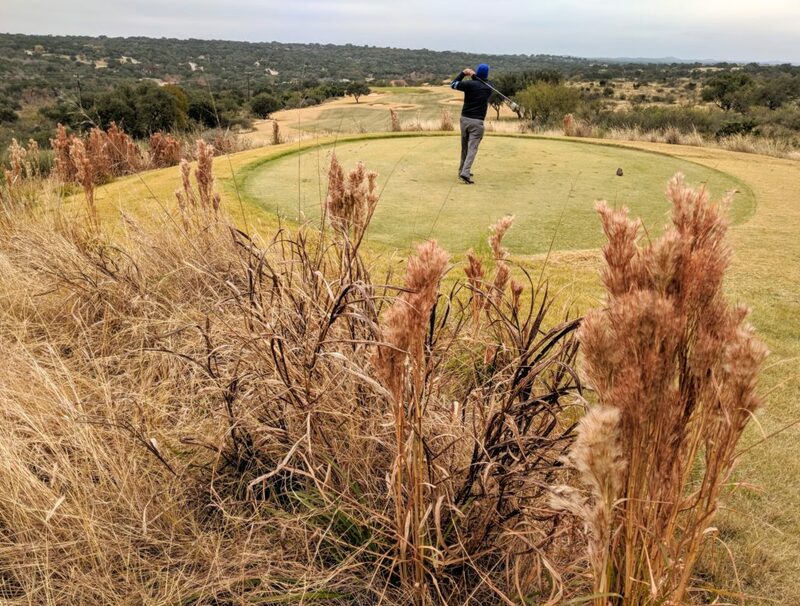 The courses on the Horseshoe Bay Resort gave us a new perspective on our first trip to Texas. Bunkering like this underscores how tough the Nicklaus Course at Florida’s Reunion Resort is. 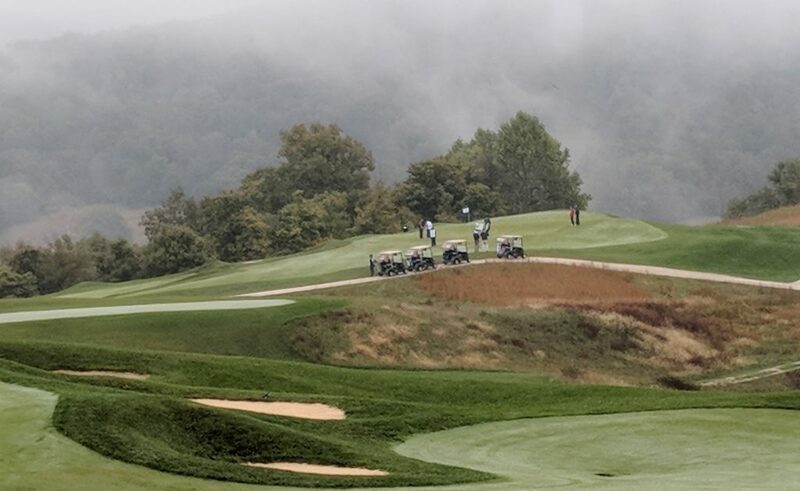 Weather aside, views from the Pete Dye Course at Indiana’s French Lick Resort are hard to beat. Is there a more beautiful par-3 anywhere than No. 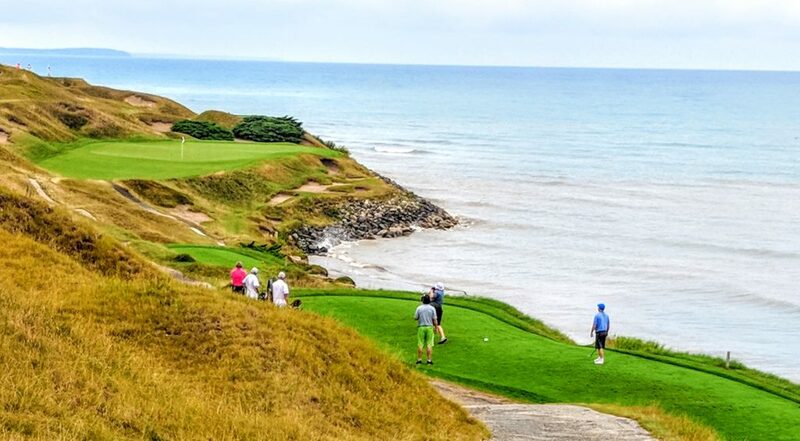 7 at Wisconsin’s Whistling Straits? We don’t think so.